Dehradun is the capital city of the state of Uttrakhand in India. 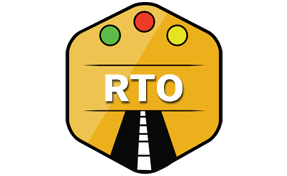 Dehradun RTO conducts and manages lots of functions. It follows all the instructions as has been laid in the Motor Vehicle Act of 1988. Dehradun RTO is directed by the Transport Commissioner. Issuing road permits as and when required. Imposing Vehicle excise duty on all types of motors. Criteria of tax differ from the types of vehicles. Issuing Vehicle Fitness Certificate after conducting the emission test. Updating the Vehicle database of Dehradun. Conducting activities to improve traffic and transport. Granting permission to the imported vehicles after verification. Issuing the driving license after checking all the documents of the drivers. Issuance is also subject to successful completion of driving tests. Responsible for automating the entire RTO process for ease of users. Speedy granting of Vehicle Registration copy after documents checking. Granting No Objection Certificate to all vehicles from other states. It is only issued if the vehicle owners submit the required documents. In the absence of submission, the vehicle owner is penalized. Issuing temporary registration copy to the vehicle owners. Executing training for Road Safety awareness campaigns. Necessary actions against people who don't possess mandatory documents. Organising driving tests for all kinds of vehicles to grant the driving license. The Regional Transport Office (RTO), 105, Rajpur Road, Hathibarkala Salwala, Dehradun, Uttarakhand - 248001.